The shopping malls are sparkling with decorations and the elaborate displays enticing you to indulge. Yep, Festive Season madness is already in full swing! 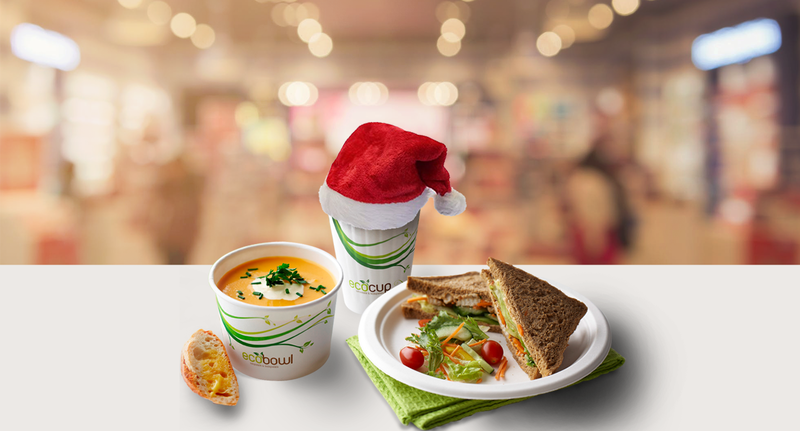 For many of us, the holidays mean time with family, bucket loads of food and of course, gifts galore! This can often result in a lot of unnecessary spending and waste – not good for the environment (or your wallet!). Supporting small, local shops and opting for handmade craft-items is a great step towards sustainable shopping. You will help cut transport costs and emissions, encourage local prosperity and ownership as well as support job creation. You are also more likely to find beautiful, one-of-a-kind items that your loved ones will cherish. Elaborate, plastic trees have become a given for many during the Festive Season. Plastic is a definite no-no if you want to show the earth some love, but we would not encourage the cutting down of trees either. Rather opt for a beautiful potted tree that can be reused or planted. You can even make one yourself! 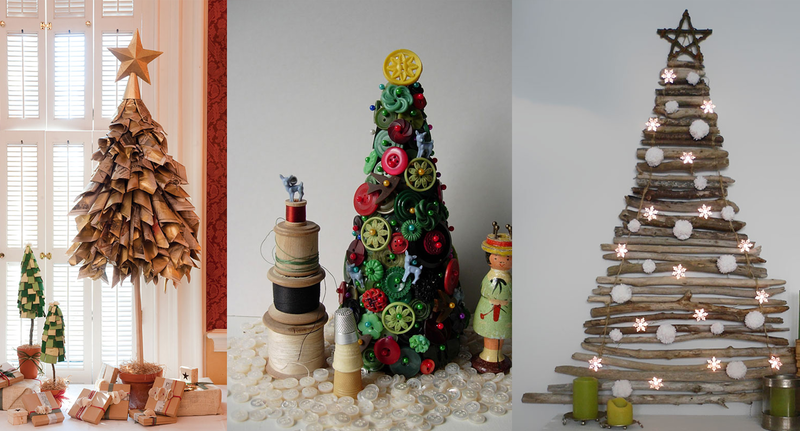 Here are 22 Ideas for Christmas trees you can make at home. 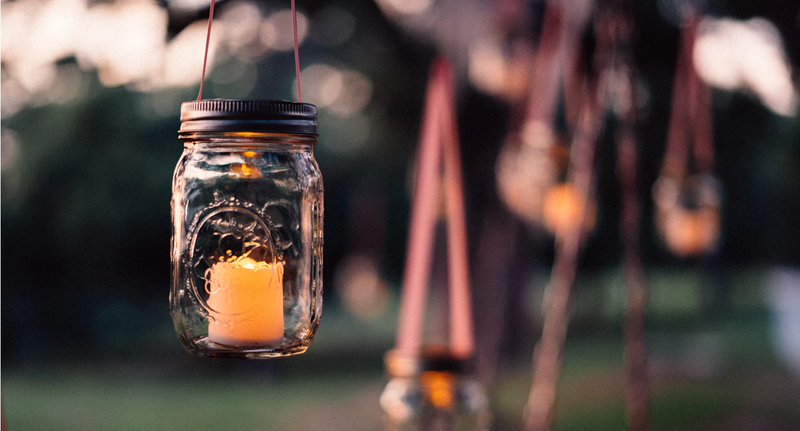 Placing eco friendly candles inside mason jars can really create a beautiful, festive atmosphere. Believe it or not, fairy lights can consume large amounts of energy. Switching to LED holiday lights, eco-friendly candles or even gorgeous solar jars will help you create the ambience without all the energy consumption. While we’re at it, foregoing cheap, plastic decorations is another step to consider. Rather make your own, or buy decorations made from recycled or sustainable materials. It can be super expensive and time-consuming to buy a gift for every family member. Why not throw the names into a hat, and the name you draw is your gift recipient? This will result in less waste, less anxiety and more thoughtful gifts. When I was a kid, our Christmas gift opening sessions would always be followed by the refuse bag making the rounds. An astonishing heap of wrapping paper, ribbons and packaging would be thrown away. So wasteful! It’s a good idea to recycle the paper or keep it for future use (if you must buy paper, make sure it’s recyclable or eco-friendly). 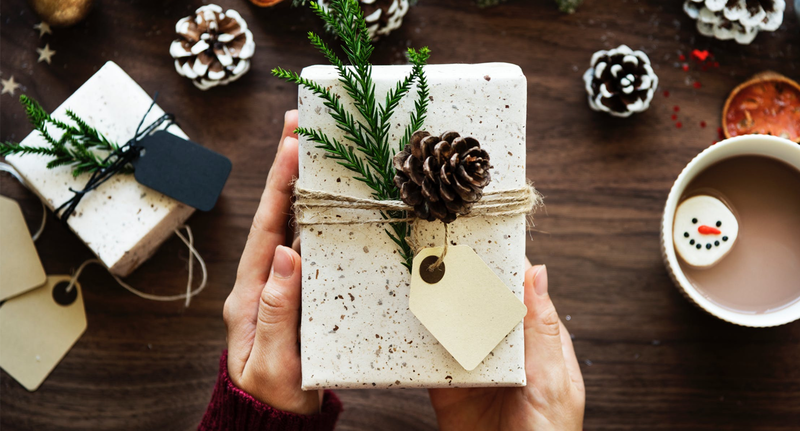 Here are 6 eco-friendly gift wrap alternatives for you to consider. Enjoy your party guilt-free with our range of biodegradable and compostable packaging. If you’re hosting a big party, and will be using disposable cups, plates and cutlery, make sure to opt for biodegradable options! If you need more tips on how to survive the festive season, check out our stress-busting tips here.